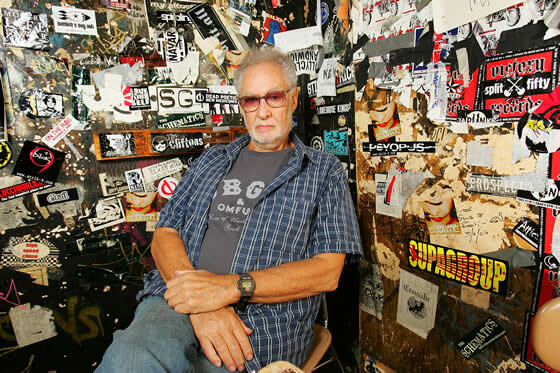 Hilly Kristal, like his legendary East Village rock club, CBGB, is dead; he succumbed to lung cancer this morning at the age of 75. But, thanks to the magic of recordings and photos and video and especially YouTube, Kristal, like CBGB, will live on. Our colleagues at Vulture dug up a YouTube clip of the Ramones at CBGB in 1977, and they present it as a tribute to Kristal, his club, and the bands he nurtured in its heyday. Take a look.